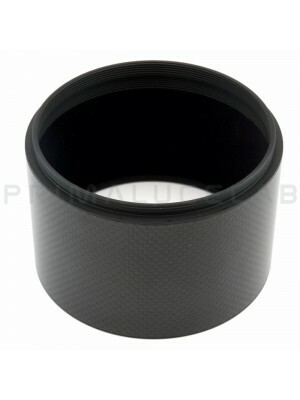 Borg fluorite apochromatic refractor 90FL f3.9 PLUS, 90mm diameter, 350mm focal length (f3.9), 6 elements fluorite apochromat, carbon fiber tube with 3 inches Feather Touch focuser with fine focus knob, rear thread for camera connection, PLUS support rings. 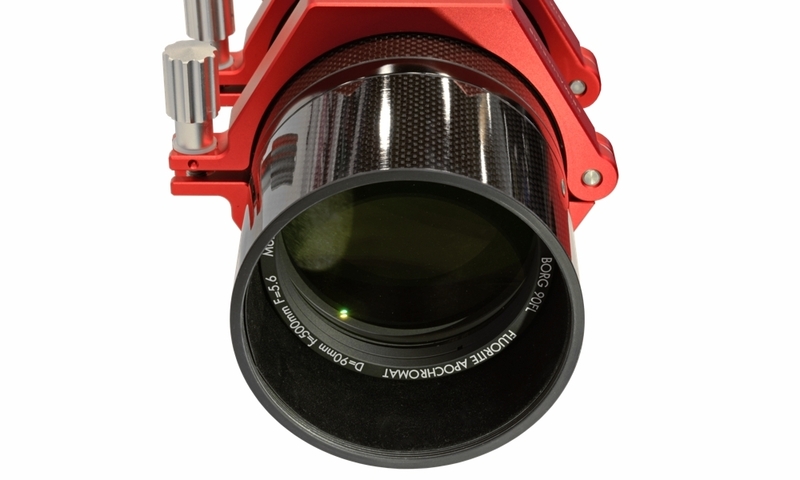 This wonderful apochromatic refractor with fluorite optics offers an incredible f3.9 focal ratio and it has a very large 55mm flat field to allow the use of cameras also equipped with very large sensors, even larger than Full Frame. The carbon tube makes the Borg fluorite 90FL f3.9 PLUS the more compact and lightweight 90mm apochromatic refractor on the market, very easy to transport! Borg fluorite apochromatic refractor 90FL f3.9 PLUS comes with Feather Touch focuser that offers high load capacity, great focusing precision (thanks to a convenient 1:10 fine focus knob) without backlash: this is the perfect focuser for our SESTO SENSO robotic focusing motor! 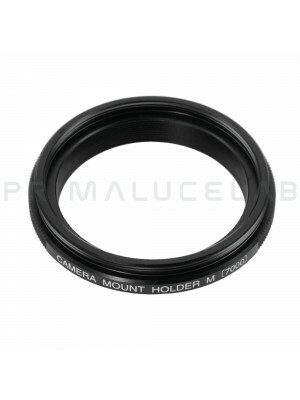 The focuser has a rear M57 thread to connect cameras by adding the proper photographic adapter. 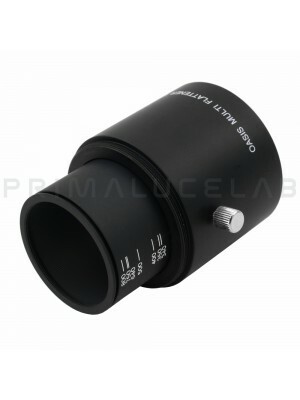 Forget about the uncomfortable and weak support rings that are often found in cheap telescopes! 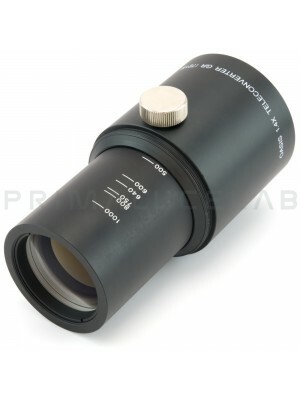 Borg fluorite apochromatic refractor 90FL f3.9 PLUS comes with our PLUS (Prima Luce Universal System) rings, aluminum, made with high precision CNC machines. 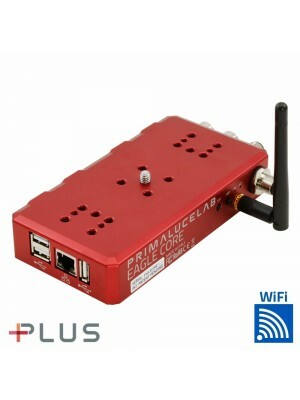 This gives you maximum freedom in connecting other mechanical accessories (dovetail plates, guide rings, dovetail clamps) always with simple M6 screws and with 2 screws for every element (to avoid flexures). 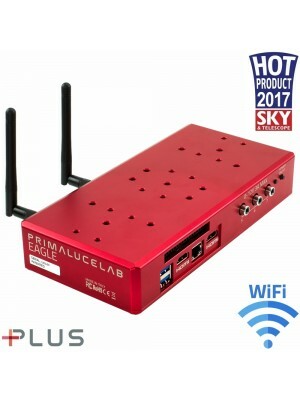 This way you can also connect the EAGLE directory on the telescope obtaining a fantastic system for astrophotography that does not require external computers to allow you to perform great quality astrophotography!